City bus services to resume in Dibrugarh town after a gap of five years. The Assam State Transport Corporation (ASTC) has decided to reintroduce city bus services in Dibrugarh town after the Bihu. Initially two buses will be pressed into service as part of the fleet and the total number will go up according to the demand of the public. 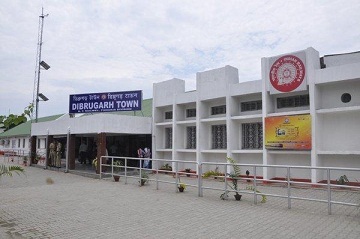 Talking to Northeast Now, Dibrugarh ASTC station superintendent Jayanta Bora said two ultra city buses will be introduced in Dibrugarh town after the Bihu festival. “It was a long pending demand of the residents of Dibrugarh to reintroduce city bus services in the city. It is also the wish of Chief Minister Sarbananda Sonowal to ply city bus in Dibrugarh town. Initially we will run the services in two important routes. The number of buses will be increased if the plan is successful,” Bora told Northeast Now. According to the plan, one bus will ply on the Dibrugarh railway station (Banipur) – Jokai route with stoppages at Naliapool, Grahambazar, Phool Bagan, Thana Chariali, Chowkidinghee Chariali, Milan Nagar and Thakur Than. The second bus will ply on the Dibrugarh University-Assam Medical Colege route with stoppages at Amolapatty Chariali, Chiring Chapori, Chowkidinghee Chariali, Thana Chariali, KC Gogoi Road, Naliapool, Graham Bazar and Paltan Bazar. “We hope that the city bus service will be welcomed by the commuters. The fares will be cheap and reasonable compared to autorickshaws and taxis. The buses will be spacious and comfortable,” Bora added. “Dibrugarh is the first city in the Northeast to have introduced city bus service in 1956 in the Marwaripatty-Barbari route with a fleet of five buses. Now the city has been congested due to the three wheelers which frequently ply on the town. We, the senior citizens, have been demanding the authority for the reintroduction of city bus which will benefit the citizens as well as us,” Ramprakash Gupta, a senior citizen of Dibrugarh told Northeast Now. In 2013, after a long hiatus, ASTC started plying two buses in the town. But for reasons best known to them the buses were taken off the road within a couple months. “Earlier, district administration has decided to introduce a fleet of twenty city buses, but a section three wheelers association protested and stopped the city bus services,” sources said. Sources said the three wheelers have created chaos in the Dibrugarh town and they are against resumption of city bus services in Dibrugarh. “We have to face lots of difficulties while going to Banipur railway station because city bus services are not available there. The autorickshaws charges exorbitant price to go to Banipur railway station. If the city buses are reintroduced then it will be beneficial for us,” Dipak Dey, a school teacher said.